As we approach the 60 year mile marker of the Park’s existence, we find ourselves in the middle of a huge pivot – from a 20th century research park that suited the times of long commutes and 9 to 5’s, to an exciting and engaging destination that blurs the lines on why to come, when to come, and what to do when you get there. While we still primarily support the over 200 companies who call the Park home, and will always look to add to that number, we also now seek out ways to connect the larger community, increasing accessibility and inclusivity, and moving to a model of live/work/play/learn that will offer more amenity and connectivity than ever before. This shift is especially apparent in the transition our programming efforts have gone through in the last few years. Starting with RTP180 and a small food truck rodeo, we now have over 100,000 people visiting The Frontier every year, many for events we helped to orchestrate. Our programming focus has expanding greatly as we look to cover topics of interest for a broad audience. We owe a great deal of credit for the growth of the Park to the growth of the tech industry. IBM coming to the Park was a game changer for this region, and for RTP specifically. Later it was Cisco, and fintech companies like Fidelity Investments and Credit Suisse. Now over one in five companies in the Park has a tech focus, and that number promises to grow in the years to come. What we felt we could do to serve that community was to deliver high quality programming that pulled in experts on a variety of topics – artificial intelligence, cybersecurity, the cloud, user experience design – for a series of talks that would engage the audience in much needed conversation about where we are and where we’re headed. With that, the Triangle Tech Speaker Series was born. Our friends at Fidelity Investments offered to collaborate on the project and came on as the official sponsor this summer. Together, we’ll look to host four events at The Frontier and at Fidelity over the next eight months. We hope these free offerings give folks a chance to expand their learning and, equally as important, take part in the conversation. The first event in the series is approaching quickly. On November 1st, we’ll host up to 200 attendees at The Frontier for a deep dive on Artificial Intelligence. We’ll offer drinks and heavy hors d’oeuvres as well as a chance to meet some thought leaders in the field. We hope it offers the tech community a chance to engage in ways they aren’t able to otherwise. More information on the first event in the series can be found here. We invite you to spread the word and take part, and to keep an eye out for other unique programming on the horizon. 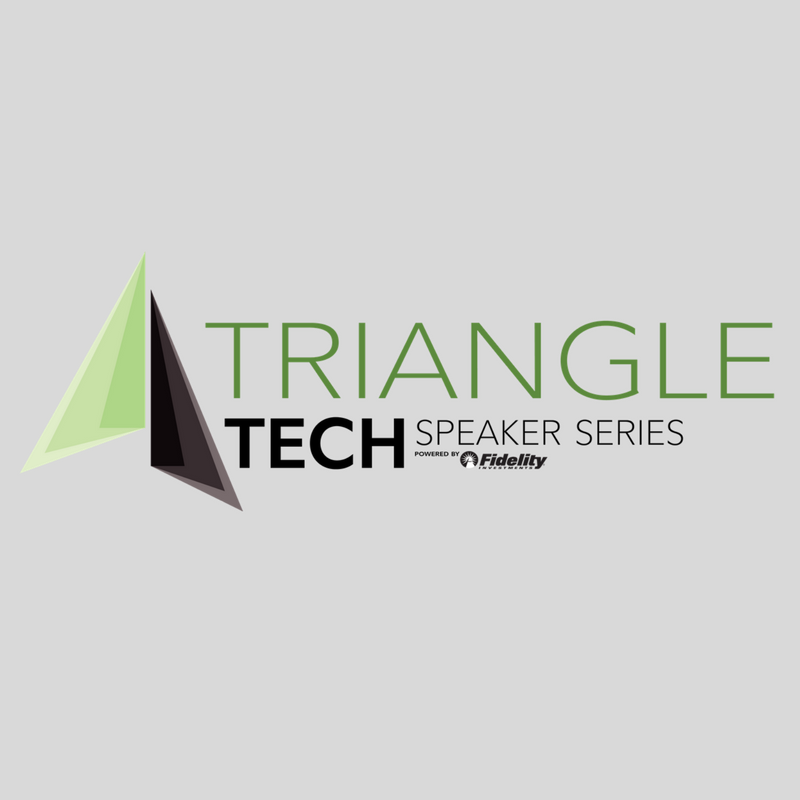 Keep an eye on the RTP Events Calendar–future Triangle Tech Speaker Series events will be posted there in early 2018.